Los Angeles, CA: RealWebMarketing.net (http://www.realwebmarketing.net), a website marketing firm specializing in working with small to medium-sized businesses, is now offering several new social media marketing service packages. A social media account setup package, including setup on Facebook, Twitter, LinkedIn, MySpace, Plaxo, and other sites. 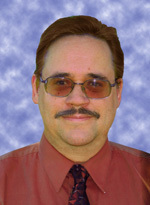 John Eberhard has been involved in marketing for a wide variety of businesses for 22 years. RealWebMarketing.net was founded in 1999 in the Los Angeles area, and has clients all over the U.S, in a wide variety of fields such as health care, consulting, construction, personnel recruitment, court reporting, drug rehabilitation and detoxification, publishing, software, jewelry, residential and commercial real estate, dance instruction, tax consulting, plumbing, dentistry, pool remodeling, chimney repair, landscape, health care, aviation, and many others. The services offered by RealWebMarketing.net include optimized press releases, social media marketing, pay-per-click advertising campaign management, web design and blog design, search engine optimization, link building, article syndication, and video production. Anyone interested can read more information on the social media marketing packages at http://www.realwebmarketing.net/social-media-new.html. President, Real Web Marketing Inc.
Real Web Marketing Inc. Celebrates Its 10th Anniversary Website Marketing Firm Servicing Clients All Over U.S.